The amazing paintings of the 4 most beauties of the ancient China. Hello, dear readers here, have you ever come to China? 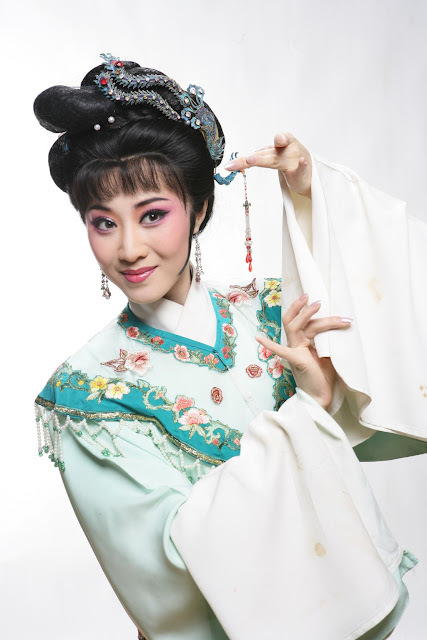 Do you know the splendid Chinese culture? 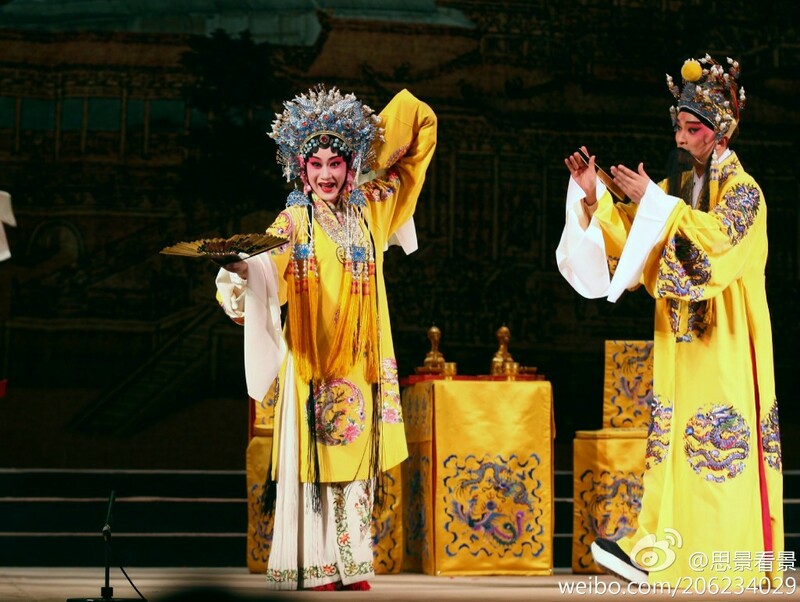 Are you interested in the five-thousand-year long history of China? 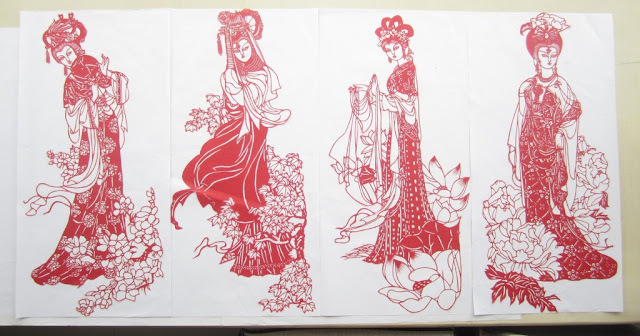 there is no doubt that during most time, ancient China is the very super empire of our world. 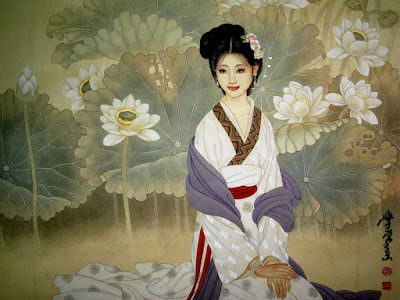 Here in this article, I am going to show some great legendary stories about the 4 most beautiful women in the ancient China, most of them were truly living in the history, and all of them are popularly known by people in the Chinese culture(in the east part of our world---such as in China, Korea, Japan, Vietnam…). 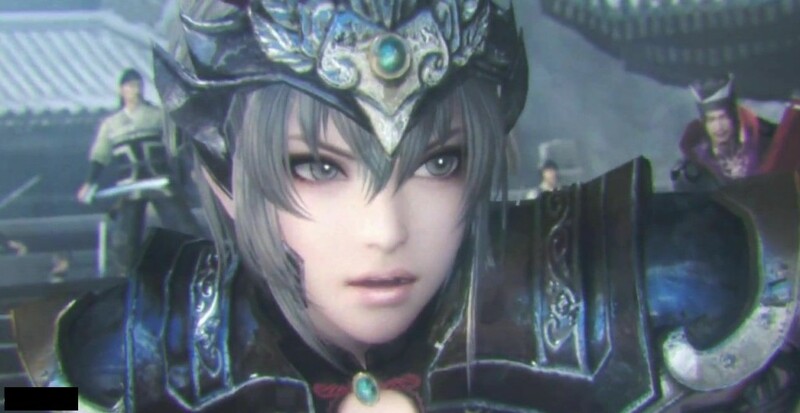 Xi-Shi(西施 in Chinese) was a girl lived in the ancient ChunQiu period of China, she was sent to the palace of the king of Wu kingdom because of her beauty. There is one legendary story that one day when XiShi was washing some clothes besides the river, the fish in the water saw her beautiful look, because that XiShi is so beautiful that the fish just can not swim and all the fish down into the bottom of the river! 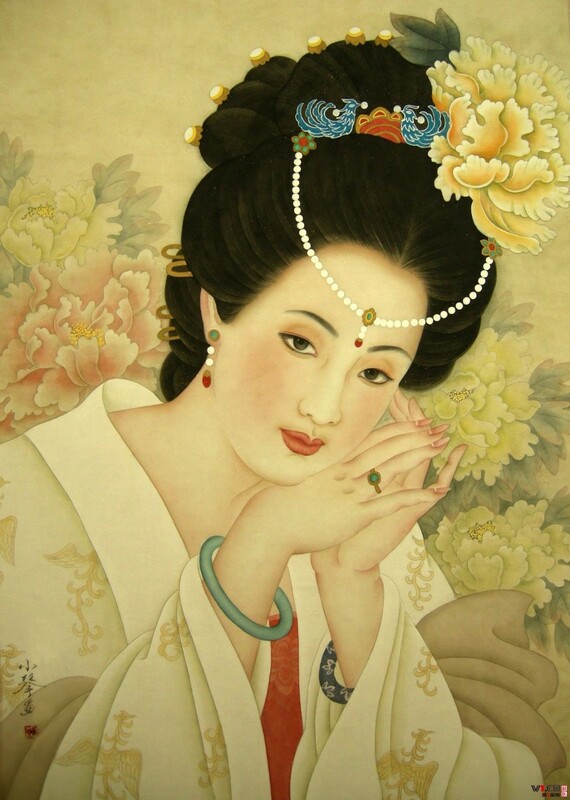 Wang Zhao-jun(王昭君 in Chinese) lived the in the West Han dynasty of China, she married with one leader of the Hun (which is one wild minority nationality), because when that time the Han dynasty could not win in the war with Hun. 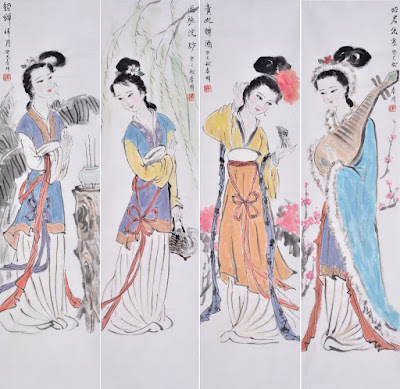 The legendary story of 落雁(luòyàn): on the way of Wang Zhao-jun’s to Hun, in the distant desert far from her home, Wang Zhao-jun was so sad for her life, she began to play sorrowful music with a Chinese lute, the wild gooses fly over her, very sad to know Wang Zhao-jun’s experience, all of the wild gooses stopped flying in the sky, dropped onto the cold ground. A cartoon picture of Wang Zhao-jun. Diao-chan(貂蝉 in Chinese) is the only one beauty of the four, who were not sure whether lived in the history or not, she was well known by people because of one great famous ancient novel named as “The Romance of the Three Kindoms(三国演义)” wrote by Luo Guanzhong, which will be a long story to talk about it. 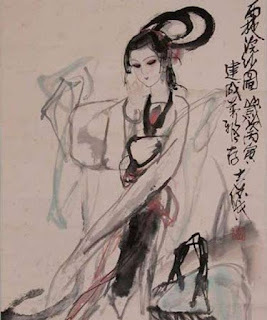 The legendary story of 閉月(bìyuè): Diao-chan lived in a war period of ancient China, in the night, she look into the sky with tears, the moon saw her, she is so beautiful that the moon choose to hide in the clouds. 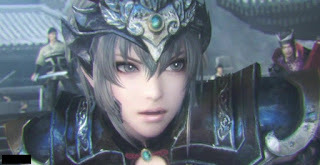 Diao Chan in the games. 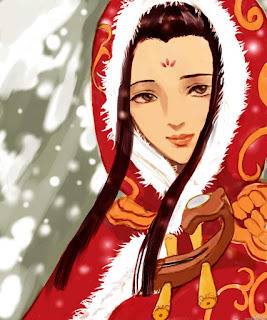 Yang Yu-huan(杨玉环 in Chinese) lived in the Tang dynasty; she is one wife of the emperor, killed in the war. The legendary story of 羞花(xiūhuā): it is said that Yang Yu-huan was dancing in the palace after drinking some wines in the morning, the flowers were so shy to be with her, all of the peony flowers were closed because of Yang Yu-huan’s so beautiful!!! Yang Yu-huan in the Chinese opera.